Next to the commonly 3D and realistic animation of modern JRPGs, I can't help but feel nostalgic when playing A Story of the End - Revere. 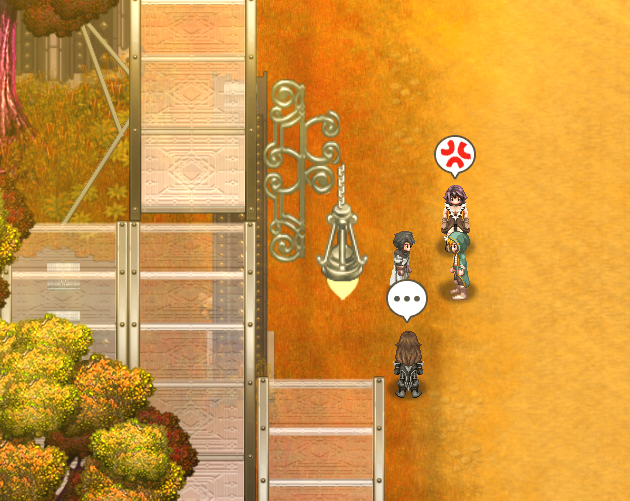 Whether it’s the sprite style characters walking around the map, emotive music or extended dialogues, Revere is very accessible to the average JRPG player. But Revere doesn’t just show more of what we already know about JRPGs, rather it adds its own unique story and battle mechanics to the mix. The intriguing story of a soldier on his quest for redemption in a unique world filled with creatures peaked my interest during its demo, even if it's missing some polish to make the experience as smooth as possible. Revere is centred around the main protagonist Troy, a Lumerian soldier who is coming to terms with the fact the Empire he works for isn’t what he thought it was and follows his journey to break away from them and do what's right. He wakes up in one of the villages he was sent to purge, being looked after by a human-like rabbit creature, known as a soul beast, named Farrah and a seemingly cold villager and archer named Roland. The serious themes of war and beasts being accepted into human society has humour and banter sprinkled throughout, which nicely breaks up the heavy tone of Revere’s story. However, these interesting themes and funny quips are sometimes let down by unusual grammar and switches from extremely casual speech to overly polite fantasy language that distracted me from feeling fully immersed in Revere’s story. I found myself pausing on some lines just because they seemed slightly off and while it didn't necessarily ruin the experience, it was a little distracting. The 45 minute demo spends it time showing off its quests and characters, along with a look at the battle system that will be familiar to most JRPG players. 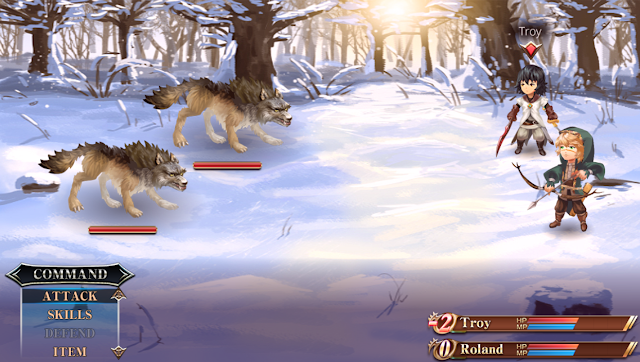 Revere features a predominately turn-based battle system and quests in the demo, with weapon upgrading and crafting said to be in the final game. The demo’s main story is progressed by completing the quests on the city notice board, a simple enough system to understand although I found myself lost on one of the three quests available. Since Revere doesn't give many hints or tutorials and the NPCs are busy making funny jokes about being NPCs (my favourite being “I stand next to signs. Please don't judge me.”), these quests mostly left me to my own devices with mixed results. On one hand it made me explore the city and see most of the pretty maps and stores (which are ‘currently closed’ in the demo), and I was able to chance upon two of the quest items I needed. On the other hand I found myself running around for longer than I would've liked to, only to find I'd just gotten unlucky and hadn't randomly encountered the enemy where I was supposed to. While Revere features adjustable encounter rates, not being told where I was to encounter the foe meant running around slightly frustrated for 10 minutes. The battle system also doesn't have much explanation, although for the most part it doesn't need it since it will be very familiar to most JRPG players. No skills are available to use in the demo, so it's a case of mostly hitting the Attack button and watching common RPG enemies such as Treants and Wolves fall. What adds a new layer to the turn-based is the Overclock system, a system that allows you to execute multiple attacks in one turn by delaying your next one. The Overclock mechanic allows you to take out all enemies in one turn, a powerful attack that seems a bit much on the weak enemies displayed in the demo but could be useful in tough boss battles in the final game. I haven't encountered a system like this before so I found it quite interesting and it'll be fun to see what it's really capable of in the full game. The main character is part Celestial being according to Revere’s descriptions, which is revealed after an emotional lead up to a boss battle. I found this final boss battle a tad confusing; one minute I was hitting the Attack button hoping for the best, the next the cool-looking Celestial being appears and I'm expected to understand I need to switch to clicking the enemy as fast as possible. Revere’s ‘Read Me’ file included in the download does explain this, but I definitely feel like it would be more immersive as an instruction within the actual game. In saying that, the more active mechanic is a nice way to break up the turn-based system and adds a much needed other layer to battles. While I didn't have the most seamless time with Revere's demo, the premise and the final story moments reminded me that it has a world I'd like to know more about. 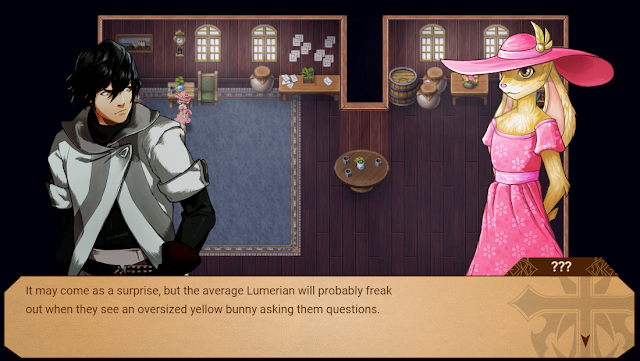 The story of the Lumerians and Soul Beasts is given a good foundation in the demo and even with some unusual grammar, the story moments in the demo show the potentially emotional journey that the story could go on. 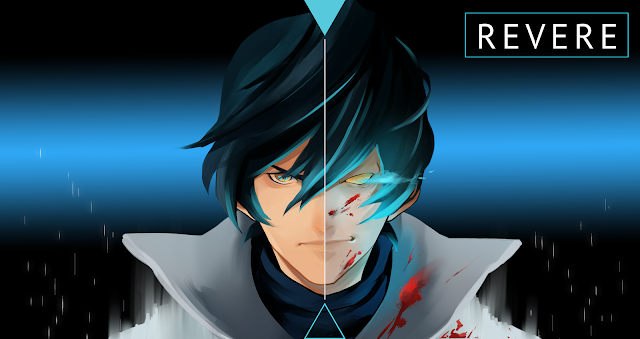 A Story of the End: Revere has a good amount of potential that is suppressed by some language errors and a lack of user-friendliness but I hope that Revere spends more time making sure the quality is on par with other JRPGs. It has the potential to be a complex story in a visually pleasing world with an interesting dynamic and I hope that shines through even more in the final product. 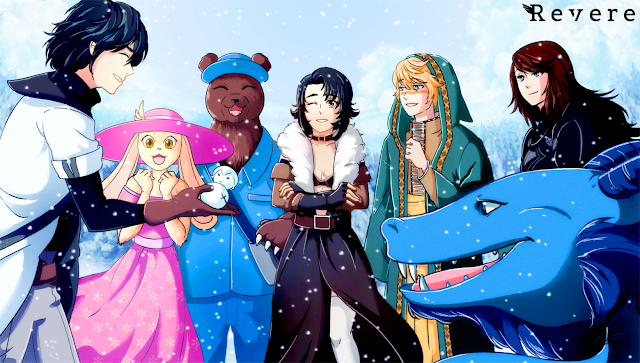 You can try A Story of the End: Revere's demo for free on Steam, for download at Itch.io or Game Jolt. The full version is scheduled for release in Fall 2017. Post upload note! : I downloaded Revere from Itch.io about two weeks ago to check it out and play it for this post. Since that time, the game has been updated on Steam with some extra tutorials and some of the English errors I mentioned have been fixed. I encourage anyone who's going to download Revere to play the current version to get the best experience possible! Will you try Revere? And if you already have, what did you think of it? Notes: In the interest of transparency, information about this game was sent to me for consideration, but I can promise this post is 100% honest and written without bias. Also, digital games are regularly updated and changed. My opinions about this game are based on the condition of the game at the time I received it and may not cover any future important changes to it.